Had a great time at the Sandbox on Anna Maria Island! I’m kicking back with a glass of bourbon after a hectic but amazing two weeks of gigs! 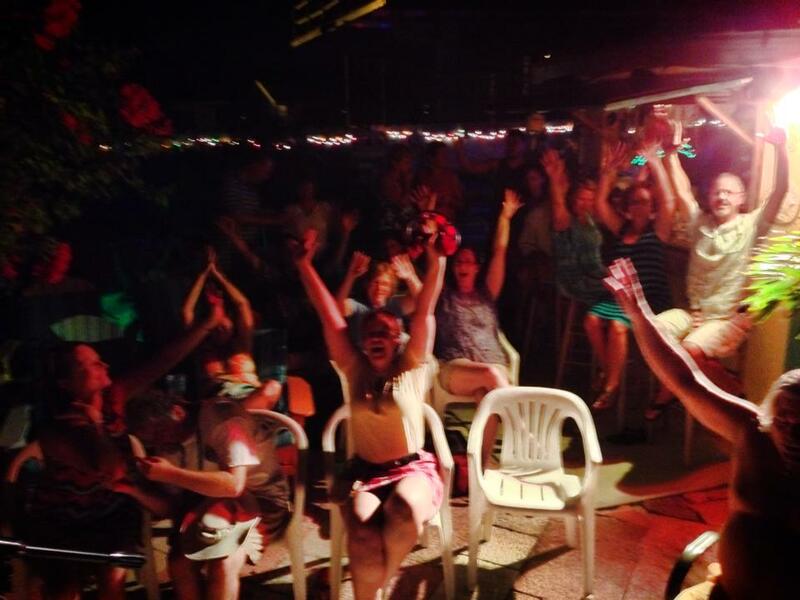 Last night I played the Sandbox on Anna Maria Island, one of the most personable and enjoyable places I’ve ever played, and probably my favorite gig on the calendar each year! Good friends, loads of food, hanging out by (or in) the pool and enjoying some good trop rock. What more could you want? In true Key West style, we also break for sunset, which is always a highlight of playing at the Sandbox. We had a full house with PHriends from the Sarasota Bay Parrot Head Club, Parrot Heads of Central Florida, as well as family, neighbors and new friends. 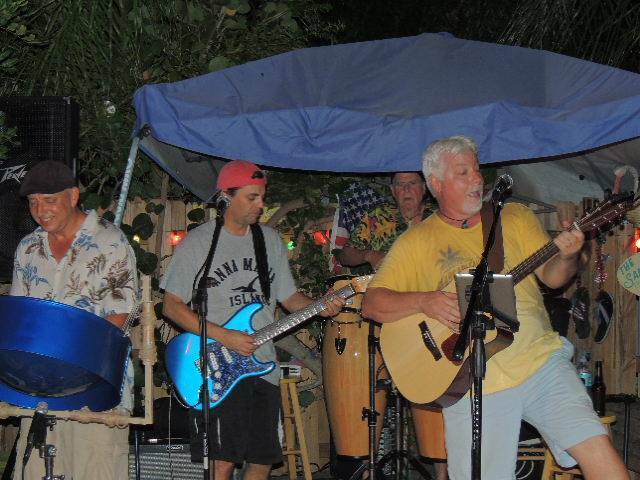 A special thanks to Pablo and Diana for hosting me, and to Lightning Jack McGivern and Kid Conch, Rick Schettino for joining in on steel drums, guitar and percussion. I’m going to enjoy a much-needed one-week rest, then will be back playing around Florida. Check out my Tour Dates page for a list of upcoming gigs! 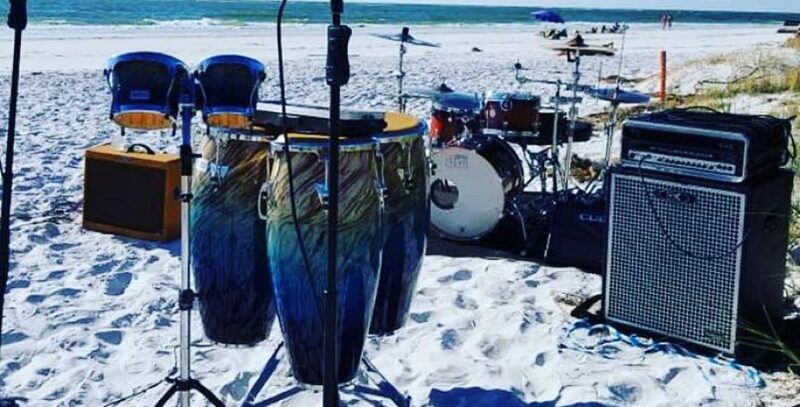 During the time I’ve lived here in paradise, I’ve been so fortunate to become friends with other musicians who have followed the call to the beach. Although I have had many musicians influence my music, I can honestly say that those I’ve met chasing the trop rock dream, have been the most open, friendly and giving people that I’ve ever met. My brushes with Trop Rock greatness probably began with Sunny Jim, who I had the pleasure of meeting at Meeting of the Minds in 1999. Aside from being one of the most talented writers and performers that I’ve met, he and his wife, Adela, are some of the most genuinely friendly people I’ve ever met. Since that great weekend 14 years ago, I’ve also had the pleasure of performing with the likes of the Conch Republic Band from Lexington, Kentucky — one of the most energetic live shows you’ll ever see, and again, some of the nicest guys and gals you’ll ever meet! My travels have also allowed me to perform with the likes of the Chris Sacks Band, Gary Philips, Mike Mangum, Dani Hoy, Mike Armstrong, David McKenney, Duane Harlick from the Tropoholics, Jimi Pappas and many others. 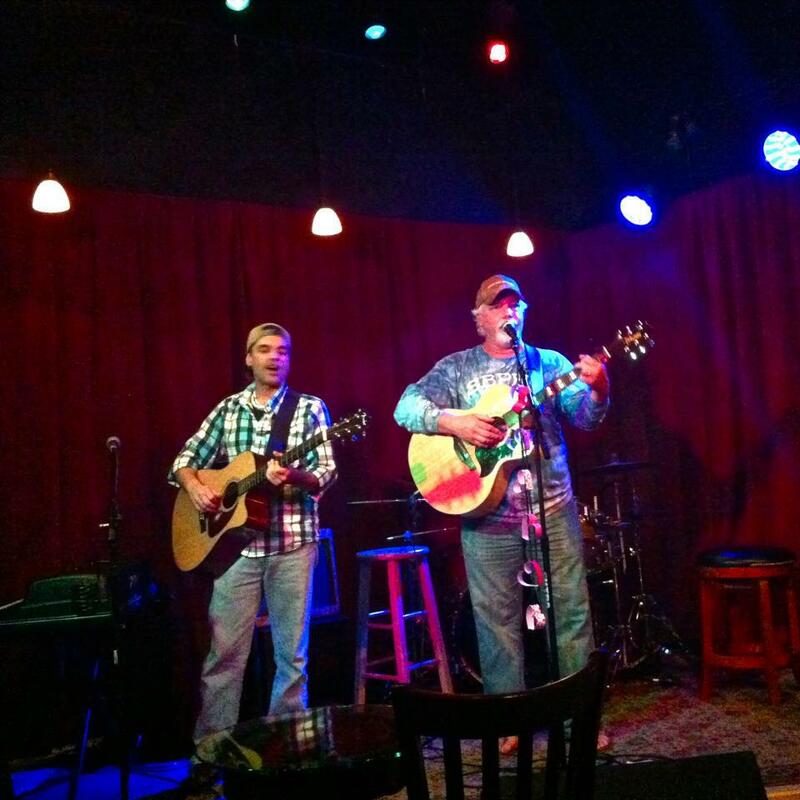 Recently I’ve had the pleasure of jamming with my friend, Rick “Kid Conch” Schettino at some really cool venues. 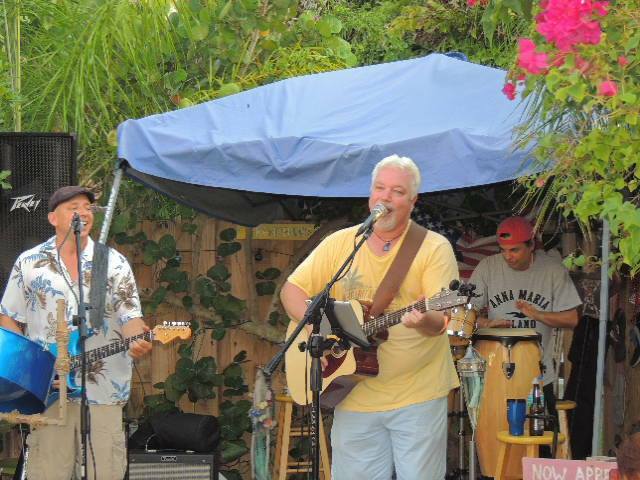 We first performed together at the Lazy Gecko in Key West and since then have been on stage together at the Sandbox on Anna Maria Island and the Hideaway Cafe in St. Petersburg, Florida He’s a great writer and an incredibly accomplished musician. It’s relationships like this that allow all of us to mold our ideas into the tunes you all come to hear us play, and I’m grateful to Rick and all others who share my vision and continue to raise the bar for Trop Rock Music. Good on ya! Another Meeting of the Mind for the Record Books!